Escalante invites to you a Celebration of Learning that will feature student work like you've never seen it before. 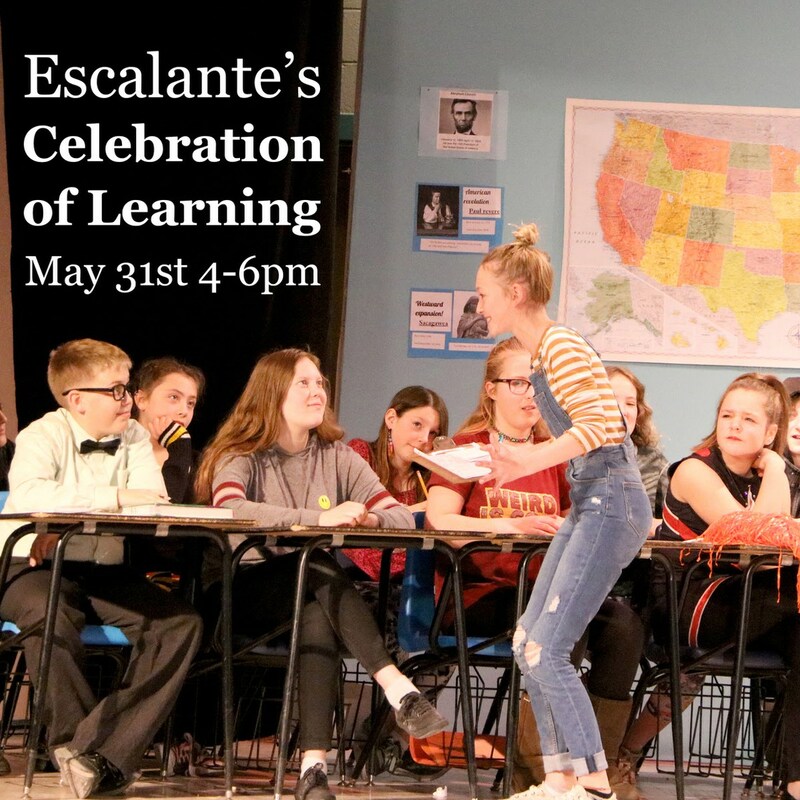 With museum-style exhibits, impromptu theater, musical performances, and student-led presentations and discussions, this is truly a celebration of what students have learned this year and what makes Escalante great. Challenge your brain, and see if you can compete in a grade-level math Jeopardy competition hosted by our students. Students will be curating art work from all grade levels for installation in their very own Escalante Modern Art Museum. Students will share their design or redesign for a building in our community. They've created concept drawings, floor plans, 3D scale models- all of which showcase their understanding of propotional reasoning and math skills. The students in our Greenhouse course will teach the community about the role urban agriculture can play in the food we eat. They've been busy growing vegetables and preserving food they've harvested, and this is a great opportunity to see their results. Parking is limited, please anticipate a short walk for on the street parking.